Nike Breathe fabric helps you stay dry and cool. Authentic FC Barcelona details show your team pride. Snap closure and ribbed socks offer a snug fit. Swoosh design trademark is heat transferred on the jersey and short. 100% polyester. Socks: 71% nylon/26% polyester/3% elastane. 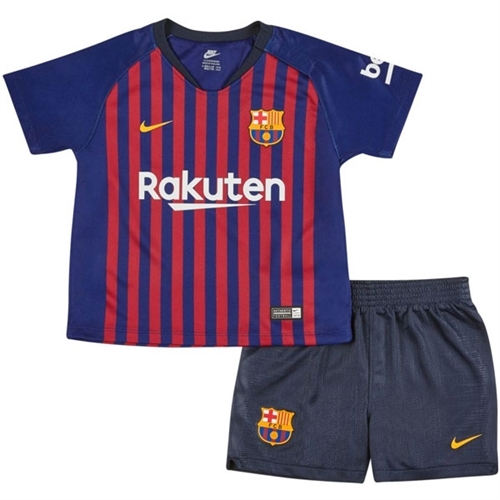 Our Nike Barcelona Infant Home Kit 2018-2019 expresses love of the game with iconic Barça details. The top, short and socks are designed for maximum comfort in a look inspired by the elite.